We now know that your company’s ESI, including email and social media content, can be used as evidence in everyday workplace disputes and legal proceedings such as investigations, Freedom of Information Act requests, lawsuits and audits. With today’s regulatory requirements, archiving email and other digital data in a manageable repository has become the only sound strategy in all industries. Archiving solutions are plentiful, but it’s not always easy to make the right choice. 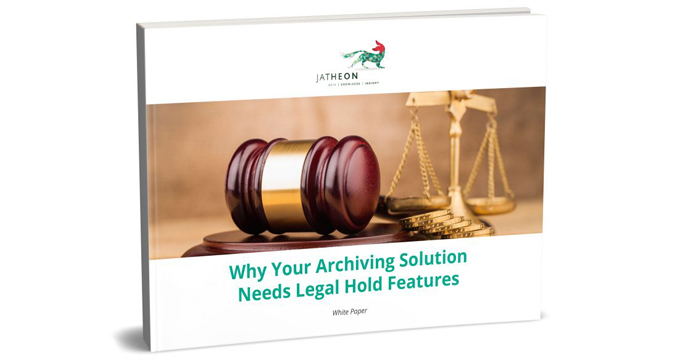 In this white paper, we explore why legal hold is an indispensable feature of your email archiving appliance. how to ensure a smooth eDiscovery process with legal hold.